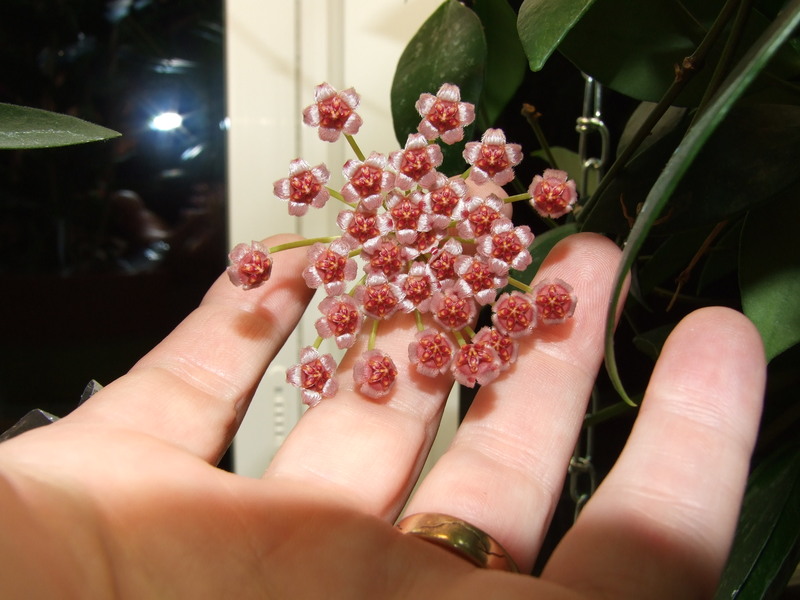 Hoya memoria is a nice little Hoya that will bloom its heart out for you. 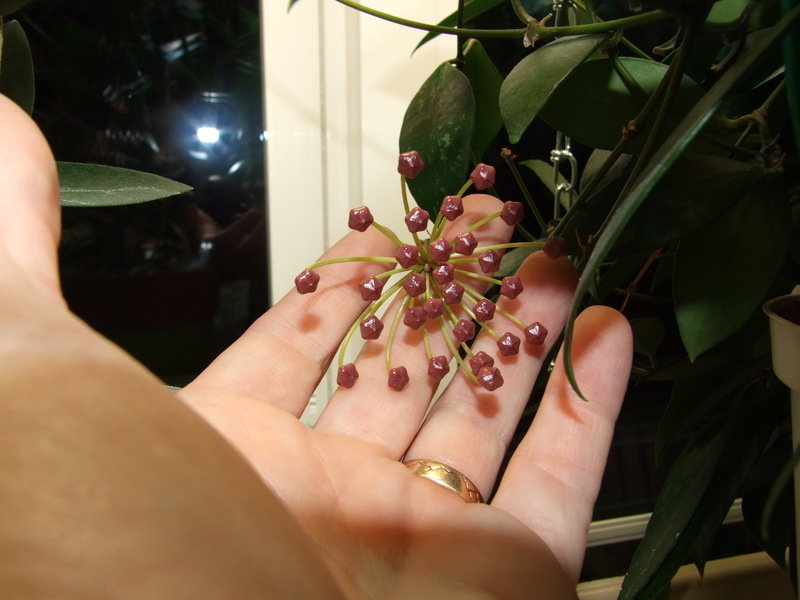 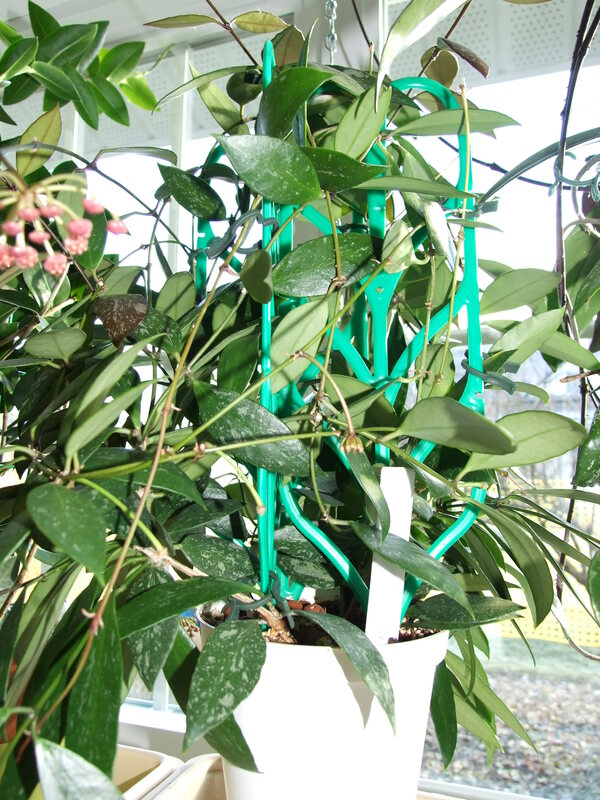 A continual bloomer for me under grow lights – I do however find that this is a strong plant only requiring average humidity. 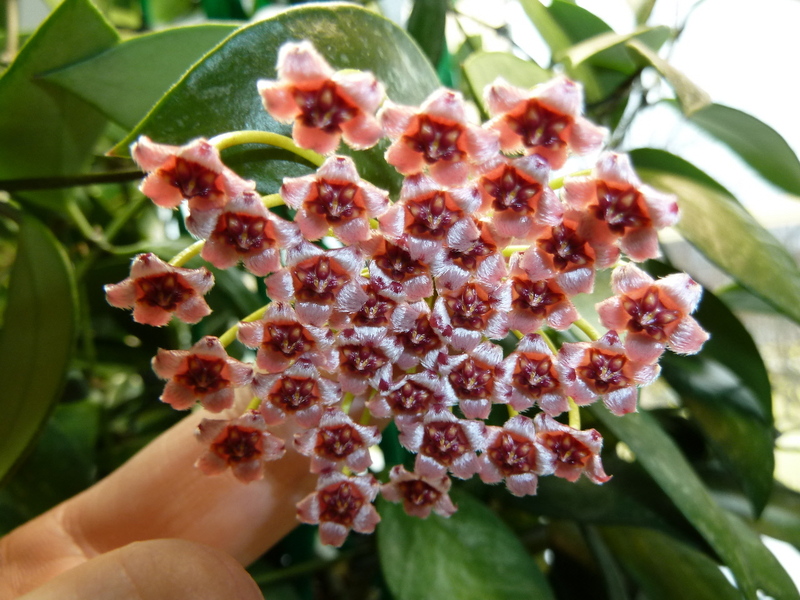 It is an Indonesian native with pretty speckled leaves, good form, and a caramel perfumed blossom.